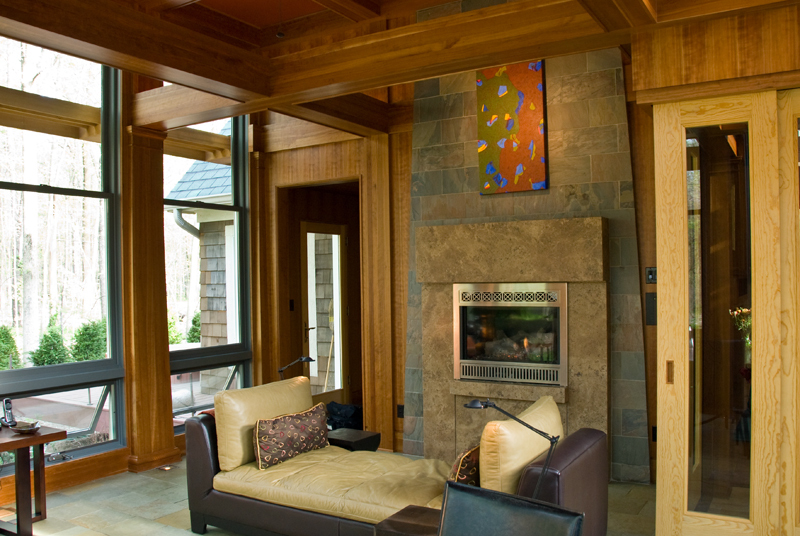 DesignSmith collaborated with the client, who happens to be an avid woodworker, to envision every detail of this multi-purpose room. 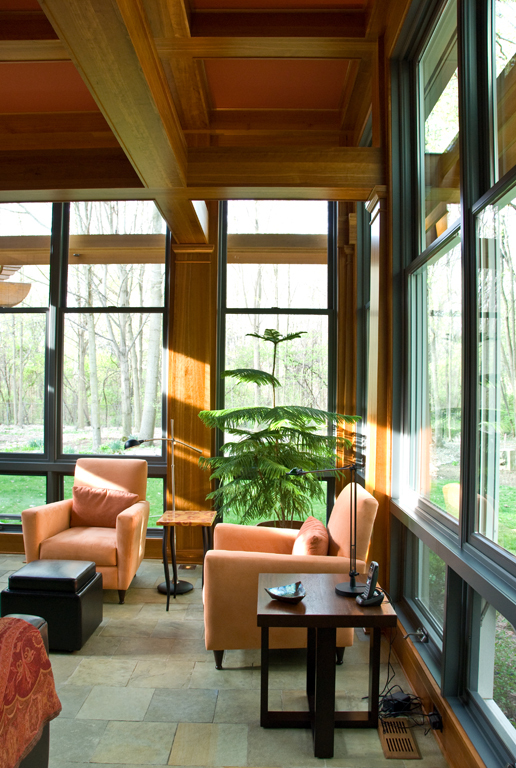 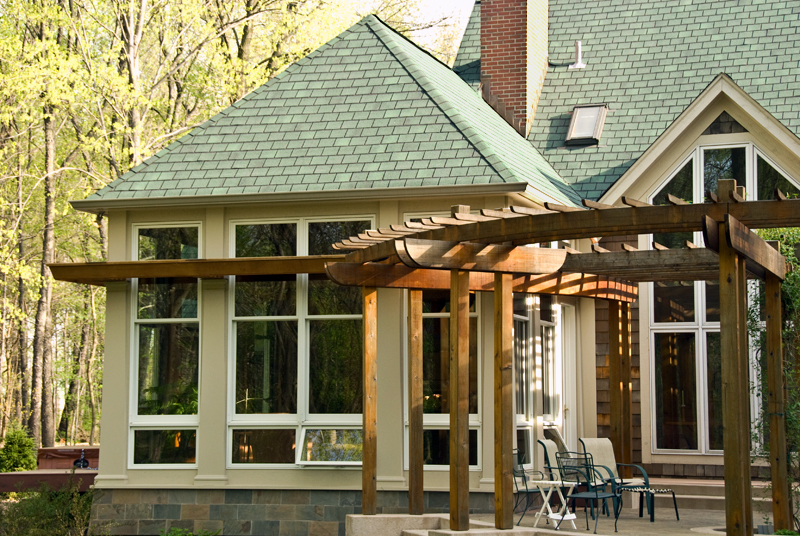 This addition to an existing residence showcases the skills of master finish craftsmanship. 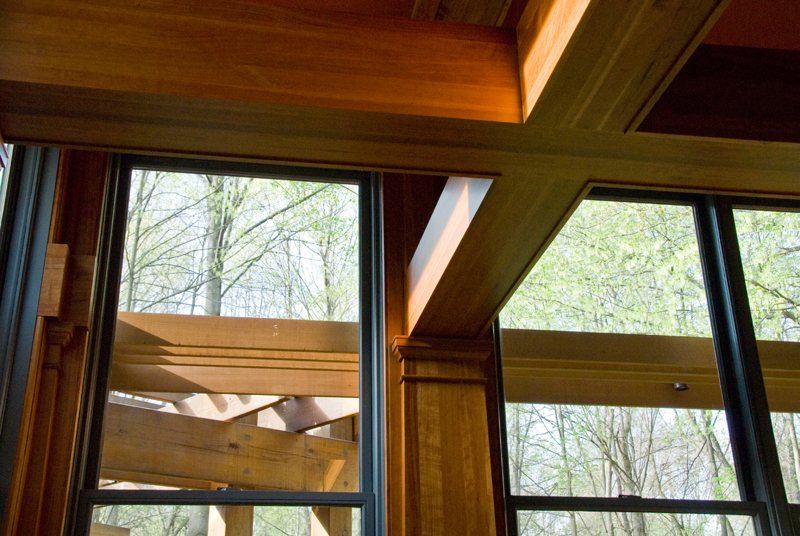 The cherry wood finish of the interior is joined without nails. 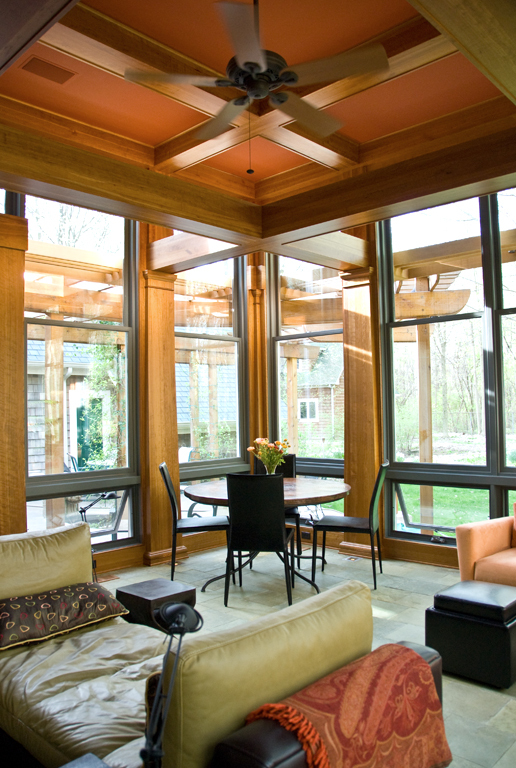 DesignSmith also crafted a lighting solution that enhances the inherent qualities of the wood material and the fine carpentry.